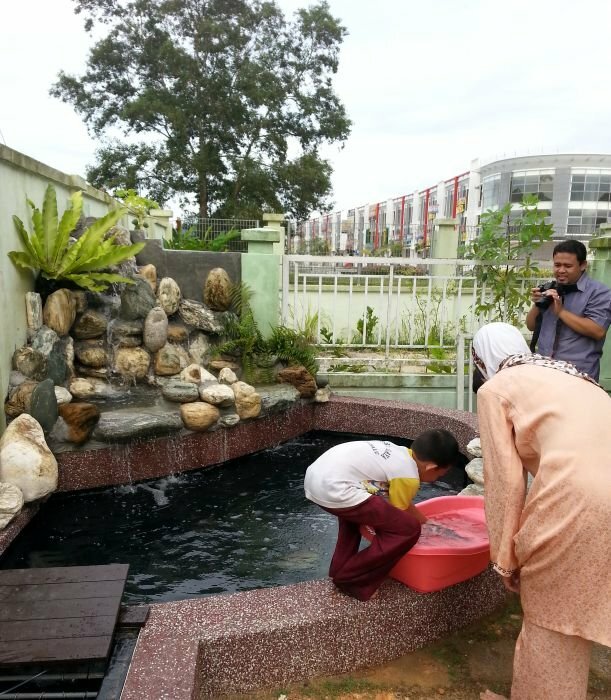 Dr Yusmanizah and family visited our outlet and decided to have a pond similar to our display pond - with natural stones for the waterfall. It was all completed within 5 weeks and koi introduced early November 2013. The whole family is having a great time with the koi they purchased from us.